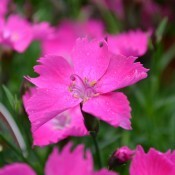 Dianthus means “divine flower” in Greek likely due to their heavenly appearance and scent. Although best known for their various shades of pink, blooms from the over 300 species of dianthus span the nearly entire colour spectrum. These beautiful jagged edged flowers are highlighted by the subtly handsome bluish-grey, mostly linear foliage. Despite their delicate appearance, these plants are robust. They are deer and disease resistant and easy to grow. Furthermore, the flower nectar of dianthus is highly attractive to butterflies and hummingbirds. 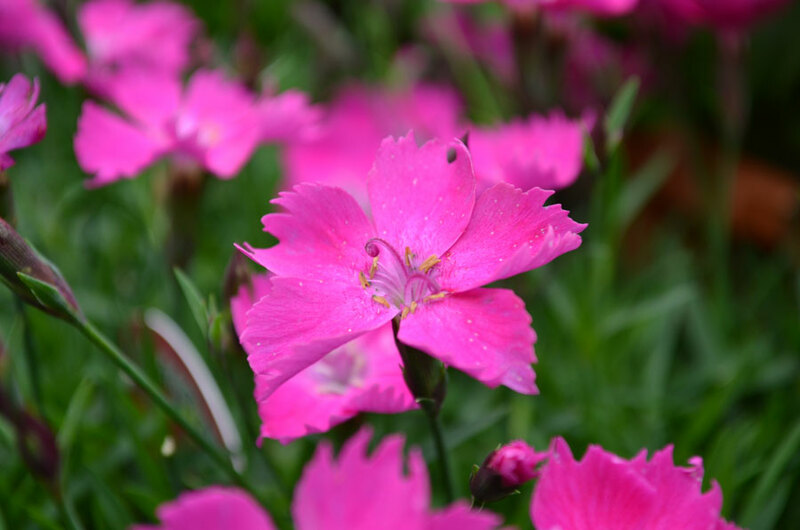 With the wide range of growing characteristics and attractive countenances, it is no wonder why dianthus plants have been popular amongst gardeners for centuries.